The Education Innovation and Research (EIR) Program, established under section 4611 of the Elementary and Secondary Education Act (ESEA), as amended by Every Student Succeeds Act (ESSA), provides funding to create, develop, implement, replicate, or take to scale entrepreneurial, evidence-based, field initiated innovations to improve student achievement and attainment for high-need students; and rigorously evaluate such innovations. The EIR program is designed to generate and validate solutions to persistent educational challenges and to support the expansion of effective solutions to serve substantially larger numbers of students. The central design element of the EIR program is its multi-tier structure that links the amount of funding that an applicant may receive to the quality of the evidence supporting the efficacy of the proposed project, with the expectation that projects that build this evidence will advance through EIRs grant tiers. Applicants proposing innovative practices that are supported by limited evidence can receive relatively small grants to support the development, iteration, and initial evaluation of the practices; applicants proposing practices supported by evidence from rigorous evaluations, such as large randomized controlled trials, can receive larger grant awards to support expansion across the country. This structure provides incentives for applicants to: (1) Explore new ways of addressing persistent challenges that other educators can build on and learn from; (2) build evidence of effectiveness of their practices; and (3) replicate and scale successful practices in new schools, districts, and states while addressing the barriers to scale, such as cost structures and implementation fidelity. The Department of Education (DoE) awards three types of grants under this program: 'Early phase' grants, 'Mid-phase' grants, and 'Expansion' grants. These grants differ in terms of the level of prior evidence of effectiveness required for consideration for funding, the expectations regarding the kind of evidence and information funded projects should produce, the level of scale funded projects should reach, and, consequently, the amount of funding available to support each type of project. EIR Early-phase grants provide funding to support the development, implementation, and feasibility testing of a program, which prior research suggests has promise, for the purpose of determining whether the program can successfully improve student achievement and attainment for high-need students. Early-phase grants must demonstrate a rationale. These Early-phase grants are not intended simply to implement established practices in additional locations or address needs that are unique to one particular context. The goal is to determine whether and in what ways relatively newer practices can improve student achievement and attainment for highneed students. 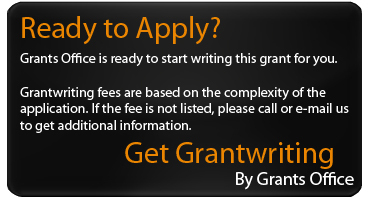 Early-phase grants only. How easy would it be for others to implement this practice, and how can its implementation be improved? How can I use data from early indicators to gauge impact, and what changes in implementation and student achievement do these early indicators suggest? By focusing on continuous improvement and iterative development, Early-stage grantees can make adaptations that are necessary to increase their practices potential to be effective and ensure that its EIR-funded evaluation assesses the impact of a thoroughly conceived practice. Absolute Priority 1 - Demonstrates a Rationale. Under this priority, projects must demonstrate a rationale based on high-quality research findings or positive evaluation that any proposed activity, strategy, or intervention is likely to improve student outcomes or other relevant outcomes. Absolute Priority 2 - Field-Initiated Innovations (General). Under this priority, projects must be designed to create, develop, implement, replicate, or take to scale entrepreneurial, evidence-based, field-initiated innovations that improve student achievement and attainment for high-need students. Improve student achievement or other educational outcomes in one or more of the following areas: science, technology, engineering, math, or computer science. Competitive Preference Priority: Within Absolute Priority 3, we give competitive preference to applications that address the following priority. Competitive Preference Priority (up to 5 Points). Projects designed to improve student achievement or other educational outcomes in computer science (as defined in this notice). These projects must address the following priority area: Expanding access to and participation in rigorous computer science (as defined in this notice) coursework for traditionally underrepresented students such as racial or ethnic minorities, women, students in communities served by rural local educational agencies (as defined in this notice), children or students with disabilities (as defined in this notice), or low-income individuals (as defined under section 312(g) of the Higher Education Act of 1965, as amended). and A majority of the schools to be served by the program are designated with a locale code of 32, 33, 41, 42, or 43, or a combination of such codes, as determined by the Secretary. Notices of Intent to Apply are to be submitted by February 21, 2019. Full applications are then to be submitted by April 2, 2019. A similar timeline is anticipated annually. Up to $125,000,000 is available in total funding for early-phase, mid-phase, and expansion grants. Awards for Early-phase grants will not exceed $4,000,000 for the entirety of the project. Project periods are expected to last 60 months. Between 18 and 28 awards are expected to be granted. Matching/Cost sharing of 10% is required, funds may be cash or in-kind and come from federal, state, local, or private sources.